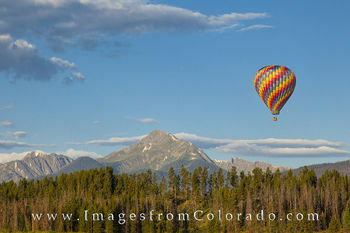 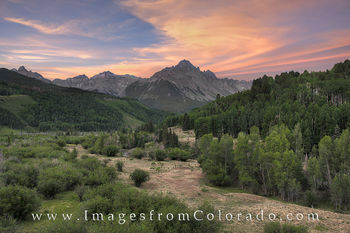 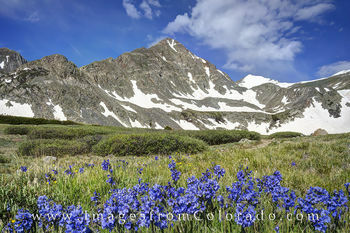 Colorado has been blessed with majestic peaks and wonderful views. 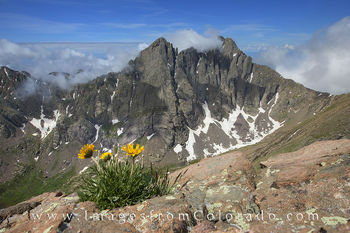 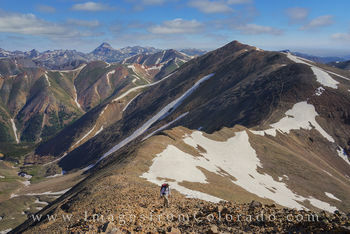 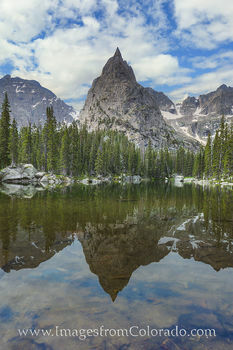 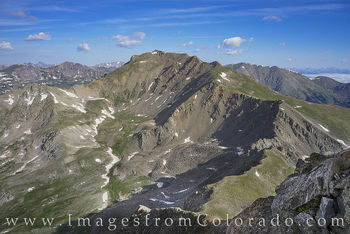 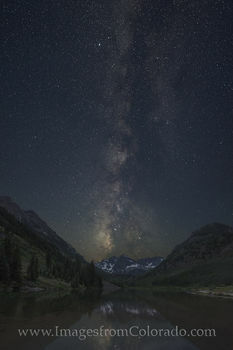 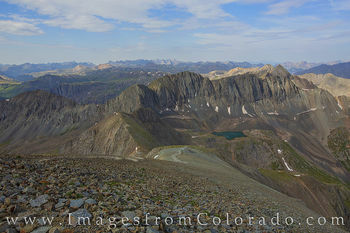 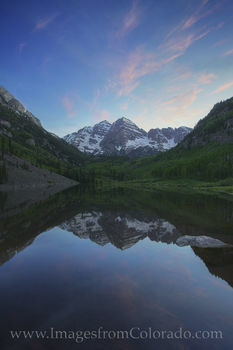 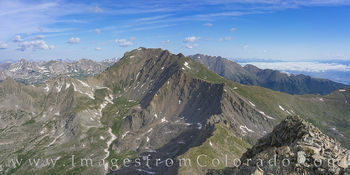 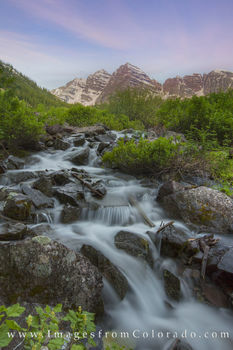 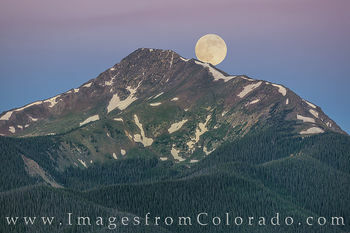 According to the site I use (14ers.com) to research upcoming hikes, Colorado has 14,000' mountains spread across the state. 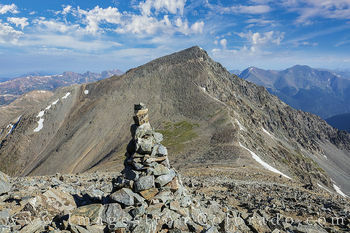 Peak bagging, the act of reaching the top of one of these summits, has become a pastime for many locals and non-locals alike. 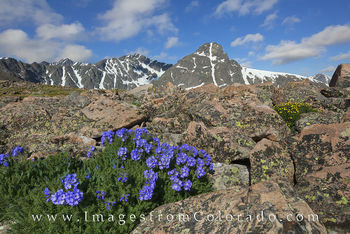 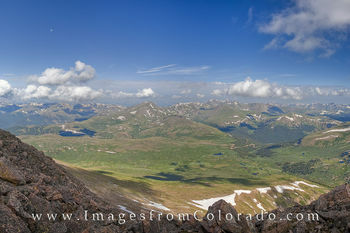 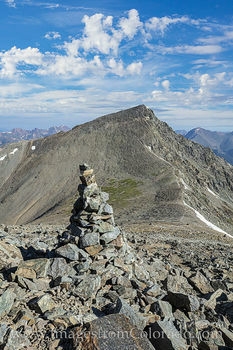 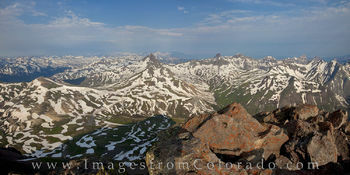 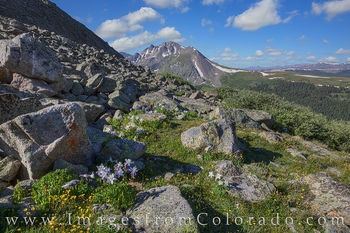 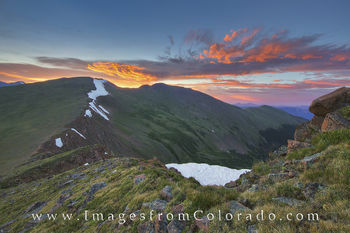 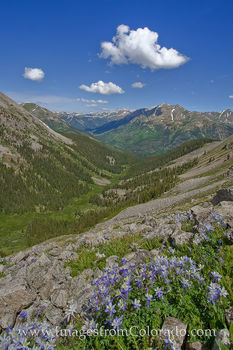 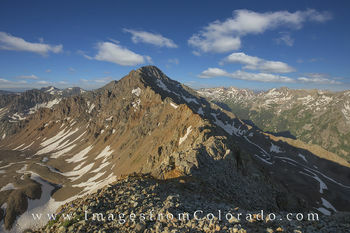 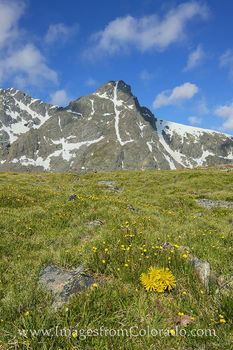 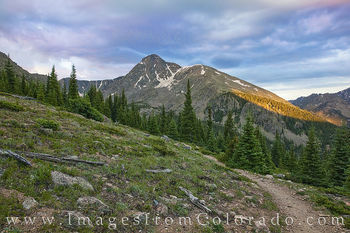 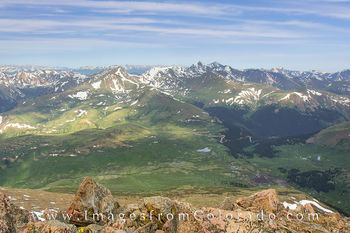 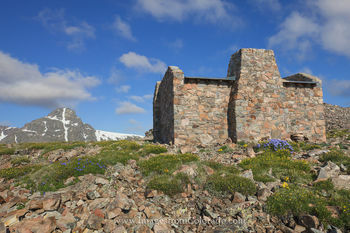 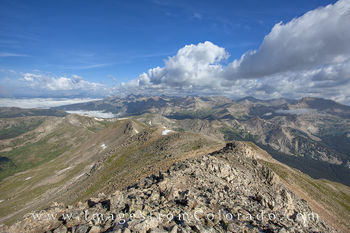 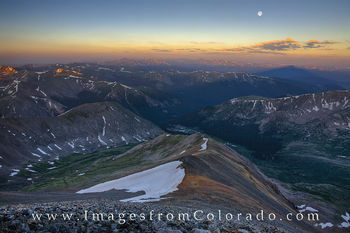 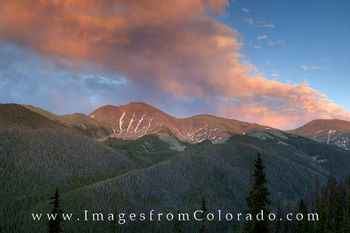 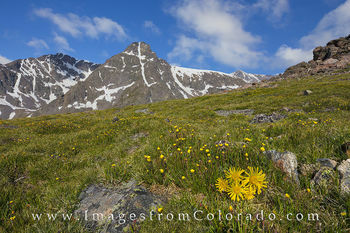 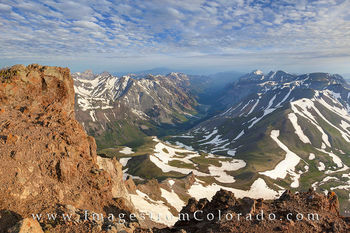 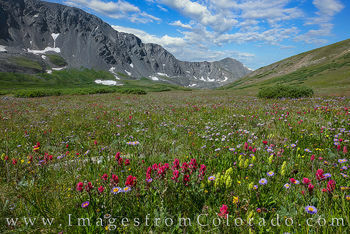 The Sawatch Mountain Range located around Buena Vista has the most summits at 15, followed by the San Juans at 14. 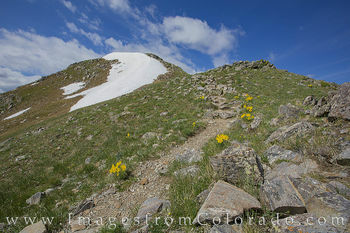 Difficulties range from Class 1 (easy walk-up) to Class 5 (intense climbing often aided by ropes for safety). 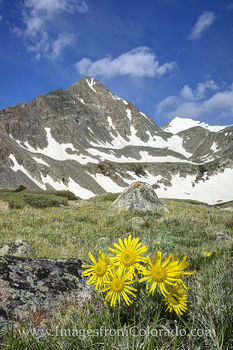 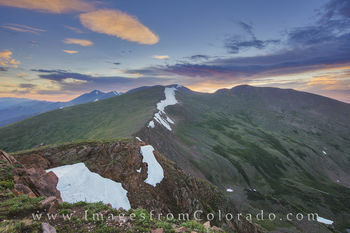 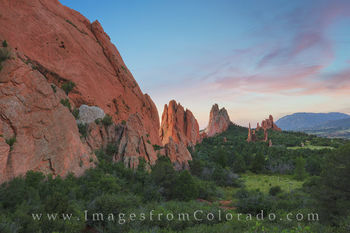 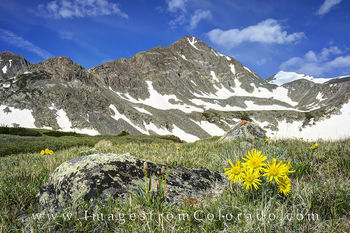 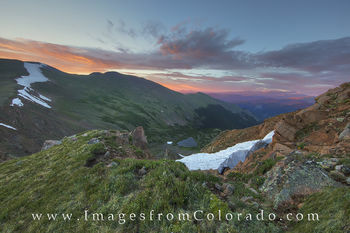 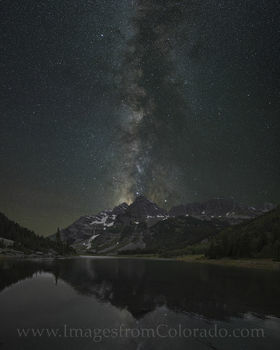 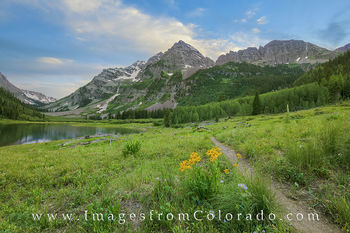 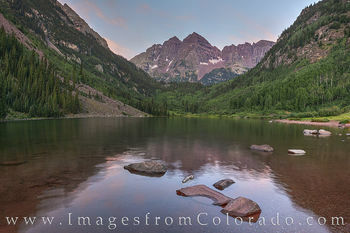 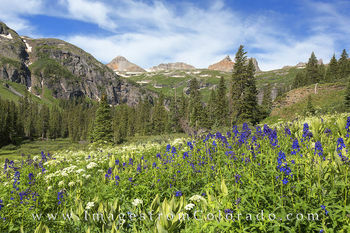 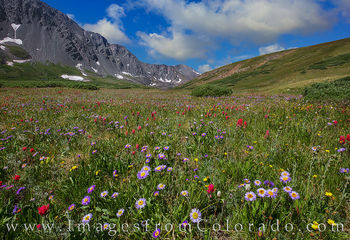 The Front Range, the mountains closest to Denver near Idaho Springs and Georgetown, holds six relatively easy 14ers for those wishing to make a quick trip from the capitol city. 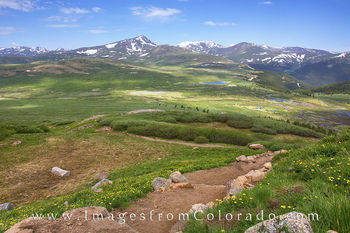 Because of their proximity to a big city and their ease, these trails become crowded, especially on weekends and holidays. 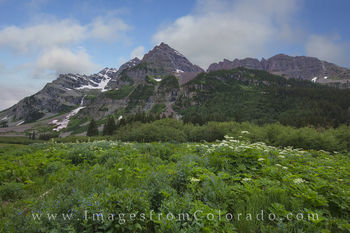 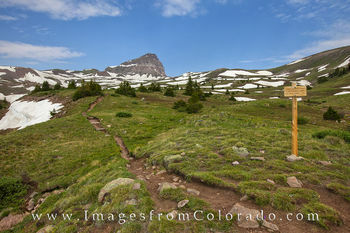 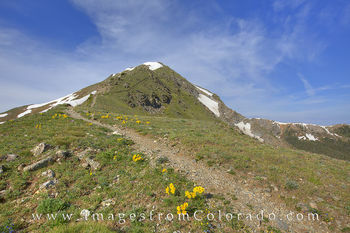 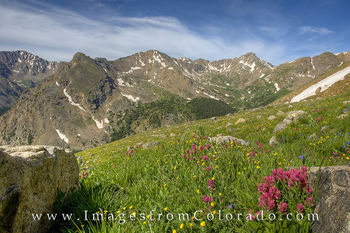 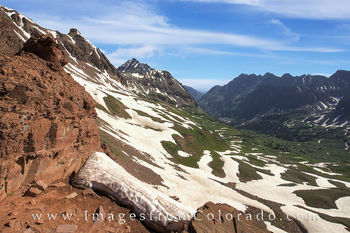 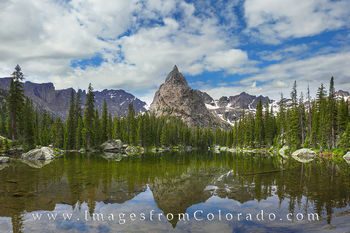 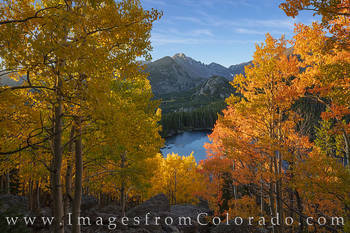 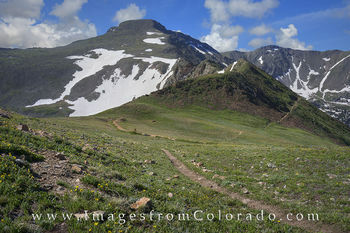 Colorado also offers other mountains to hike and climb. 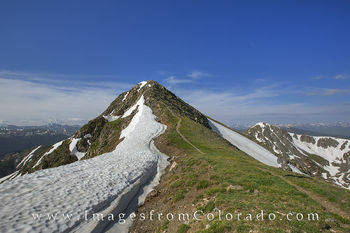 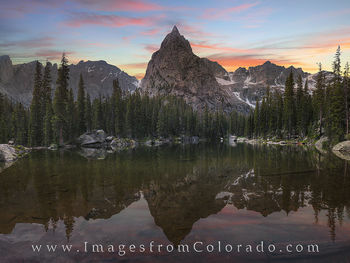 There are approximately 637 13,000' summits, and a score of peaks just under the 13,000' height. 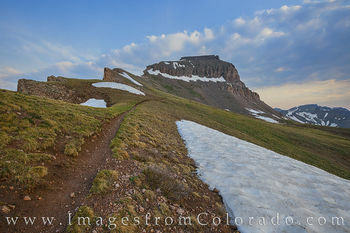 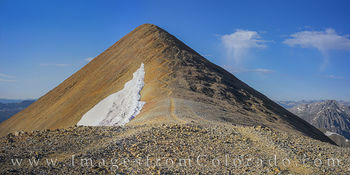 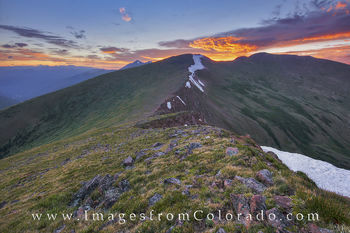 This gallery is a collection of images I've captured from hikes up 14ers as well as some mountains closer to my home base in Winter Park. 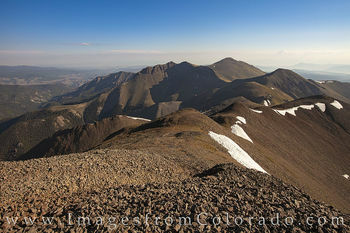 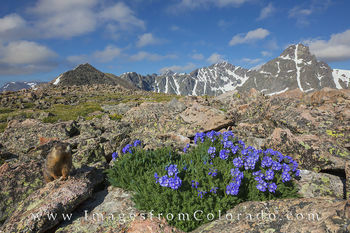 I do not claim to be an expert climber, and I've only bagged 31 of the 14ers as well as many of the smaller peaks. 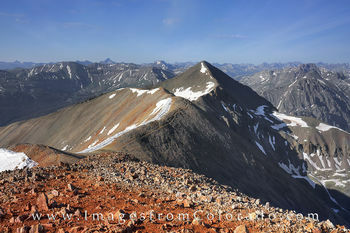 I wish I had been toting my camera for all of the summits I made, but alas, I did not. 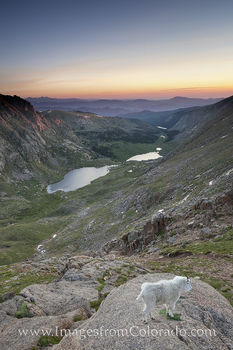 Still, I do offer this gallery for your enjoyment.